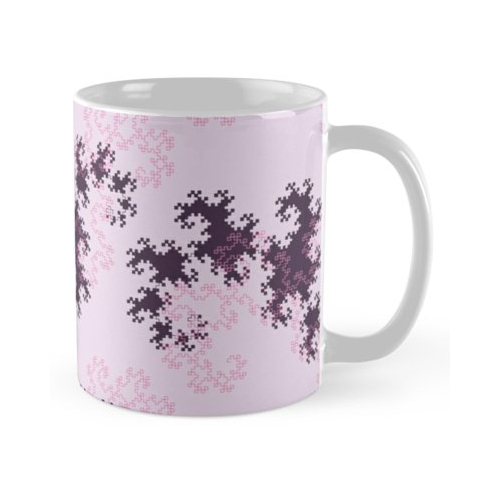 A pattern featuring the dragon curve in pink and purple hues. 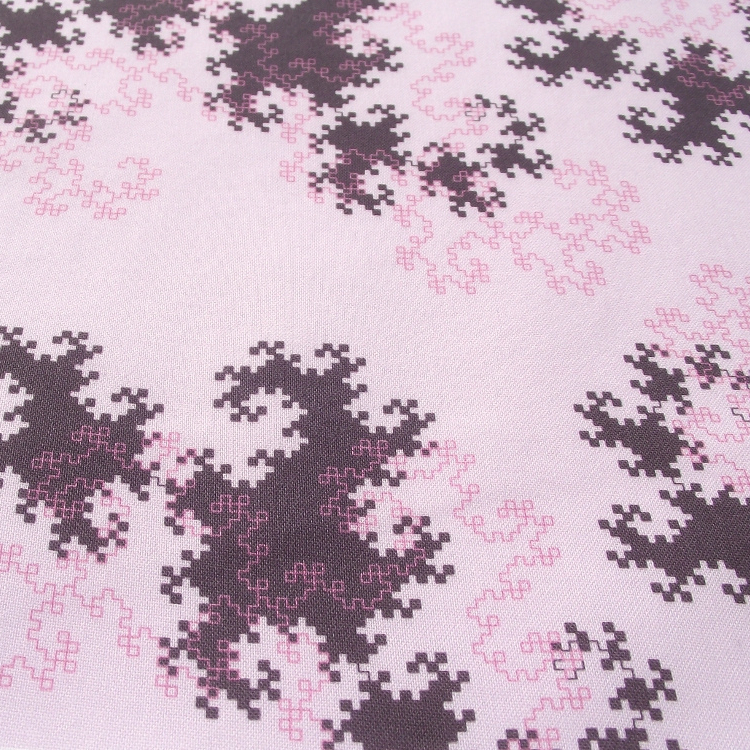 My entry for the “Geek chic” contest on Spoonflower. 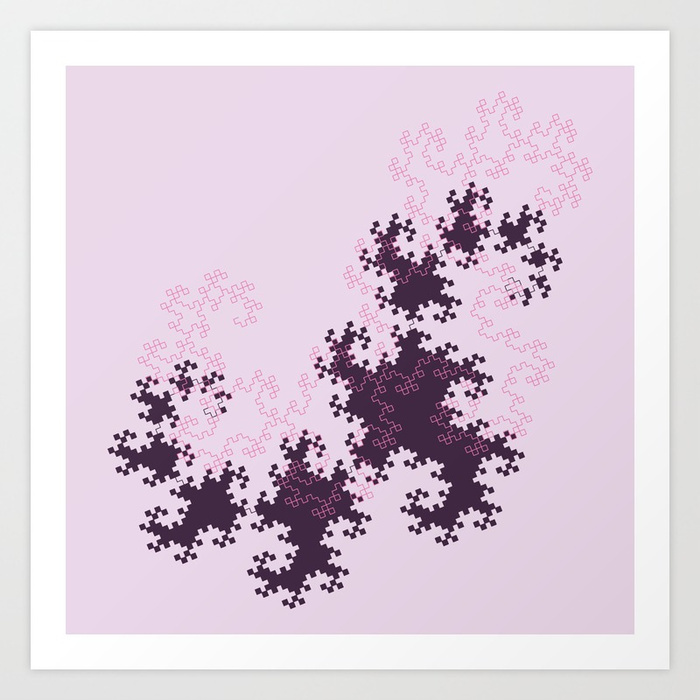 I found out about the dragon curve fractal thanks to a video on the Youtube channel “Numberphile”.